I love the bright and vibrant colors of summer. 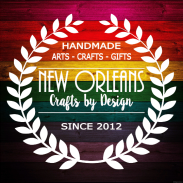 For this wreath I started with a 14" wire wreath form. 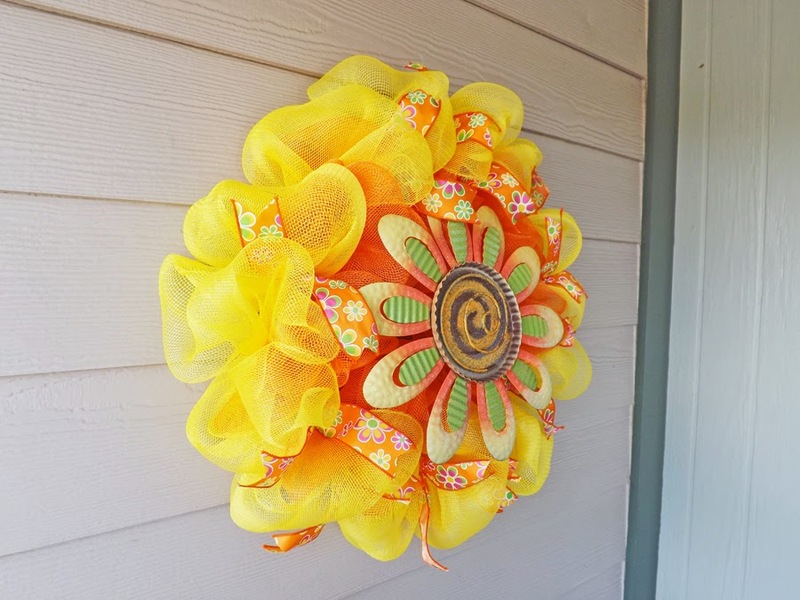 I used bright orange deco mesh in the center of the wreath and yellow deco mesh around the outside. 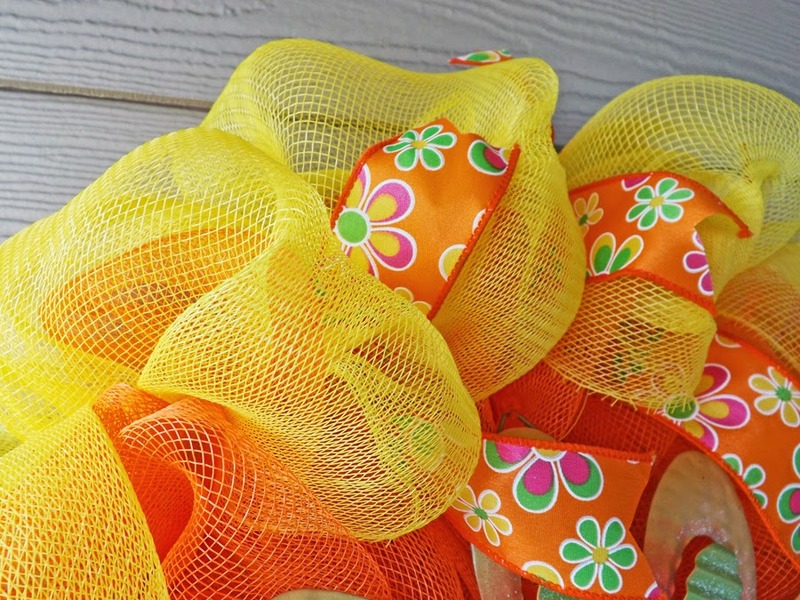 The deco mesh is attached to the wreath form with complimentary chenille stems. 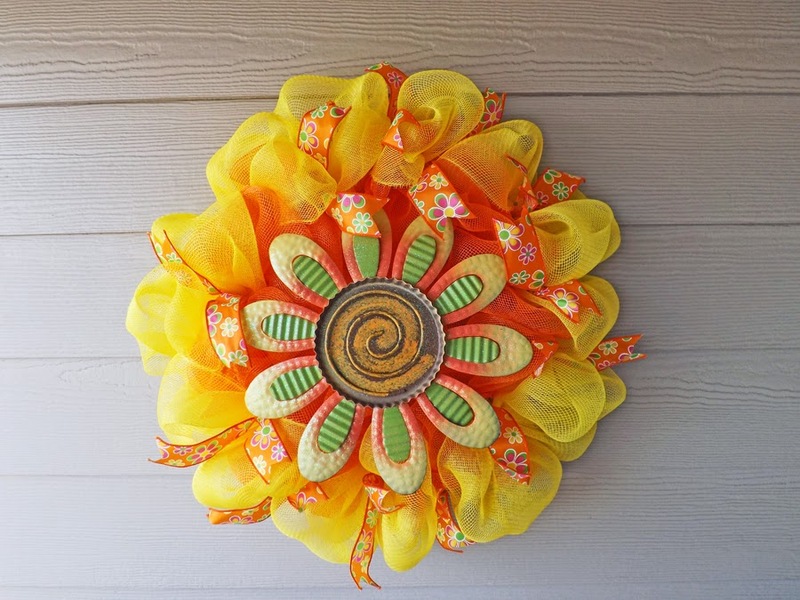 I added a orange floral patterned wire ribbon around the entire wreath. 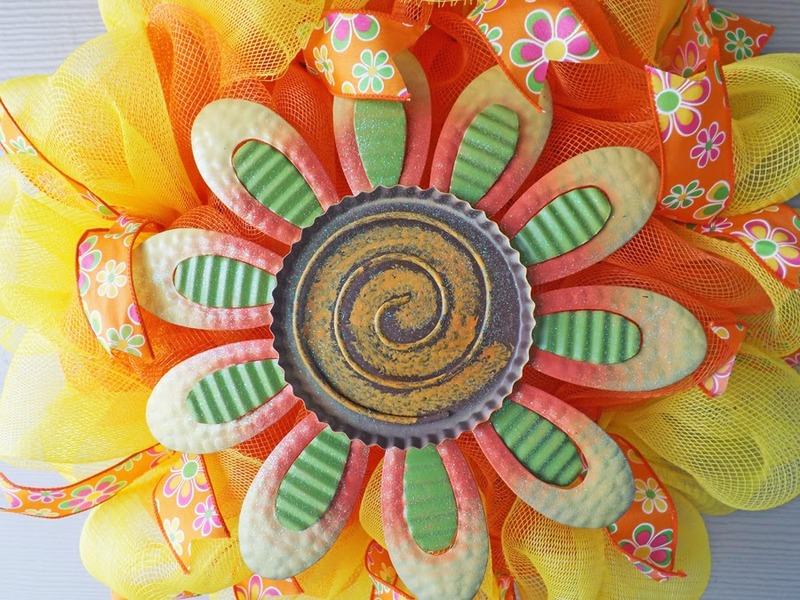 The center of the wreath is an 11" wide metal daisy in colors that match the wreath perfectly. 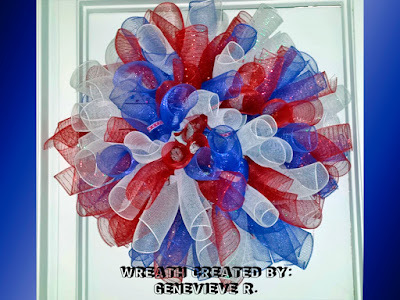 The completed wreath measures 22" wide and about 8" deep. 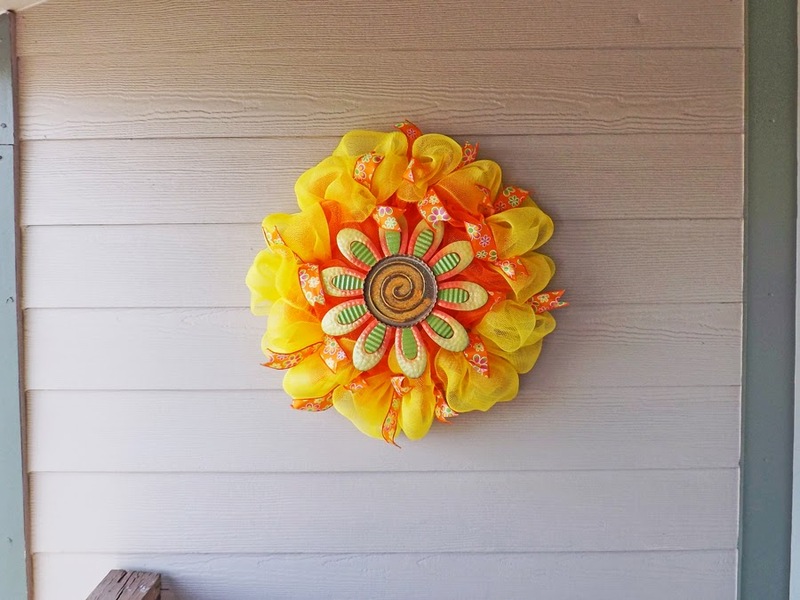 Brighten up your home this summer with this gorgeous deco mesh flower wreath.